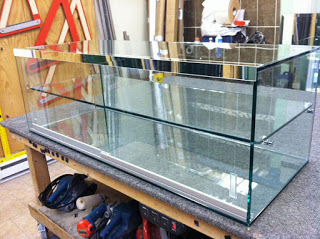 Do you need glass display cases that won't take up a lot of floor space? These tall showcase cabinets are just what you've been looking for. These glass display cases are great for retail objects, as a collectables exhibit showcase, and as a lobby fixture. These tempered showcase towers feature either an entire wood frame or a wood finish with aluminum support framing. These glass display cases come complete with a hinged tempered glass door with built-in lock, adjustable shelves with clips, all sides of clear tempered glass, built in levelers, and interior bottom mirrored deck. These skinny showcases are perfect for use in a jewelry store or fine china retailers that need to decrease access to the displayed objects. 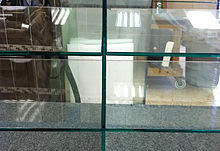 Use these glass display cases to exhibit awards or trophies your company has received. The hexagonal shape of these towers will further garner the attention of your patrons or clients. The glass display cases featured here also have over head lighting that shines directly down onto the shelving. As an optional feature there is side tracking lighting offered on most of these units as well. Glass display cases with side lights, such as the fixtures shown above, are often seen in museums, or art galleries displaying glass artifacts, pottery or other works of art. The mirrored deck on these large showcases further accent and complement the displayed merchandise within. 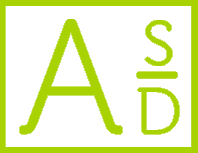 Giovani Glass offers a diverse assortment of wood cabinets for sale at wholesale pricing. 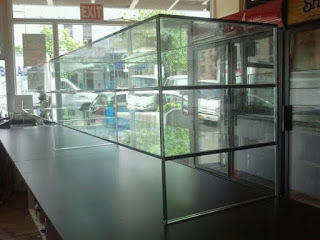 The glass display case for sale here, contains many advantageous features that make it a bargain at the discount prices presently being offered. This tall tower cabinet features hidden wheels that make moving it to a new location a breeze. This glass display case will be a cherished piece of furniture in your office or home for many years to come! We guarantee it!